Learn more about Graceful Changes, LLC. Graceful Changes provides professional estate sales and clean-out services. We will handle your needs with integrity and care. We are committed to our client’s satisfaction. We work with you to determine your choices of items to keep and those to sell. We research and evaluate each item to determine a fair market value. With our years of experience we utilize our many contacts and consultants to determine the best options to generate the most dollars for your estate or property. 1. Families that need a complete clean-out. Including, selling all we can, donating what we can and removing all else. We sweep and mop floors on our way out leaving home ready for the next phase. 2. Families that want us to sell what we can and leave the rest of clean up for them to deal with. Our goal is to provide outstanding customer service while helping our clients through a very stressful time in their lives. 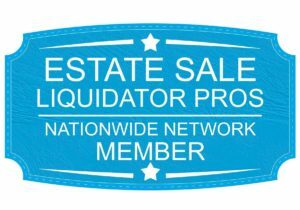 We will be there with you from beginning to end of your estate sale or home clean out! We run our company with honesty and integrity and compassion. We truly love our job and it shows in every home we provide services. Graceful Changes has been blessed repeatedly throughout the years and we believe in giving back to the community. We have a great team of long-term employees and every one of our crew members can be found out and about volunteering at community events, running fundraisers and promoting local charities throughout the year.